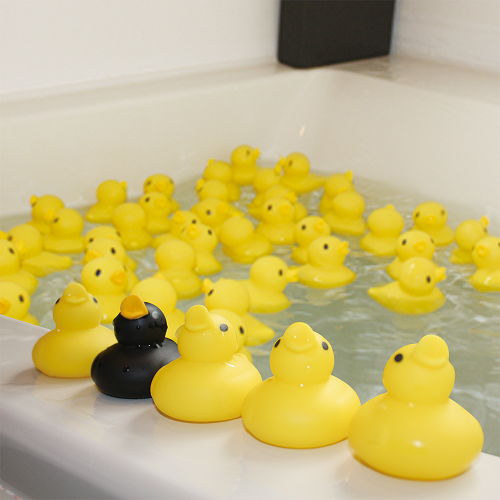 Duck bath is a set of 50 ducks! 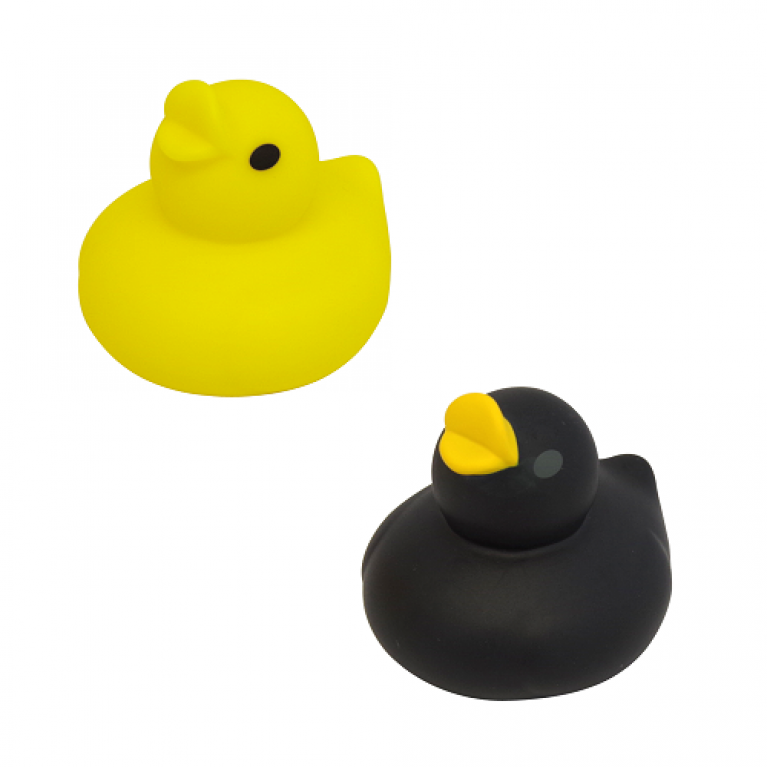 Float them in your bathtub for a fun bath time full of ducks. 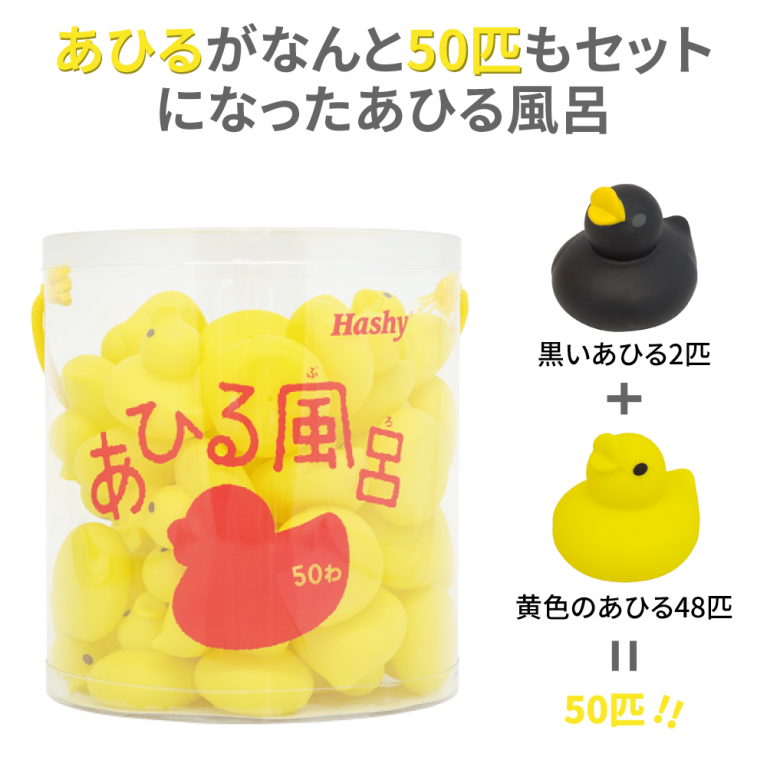 The set contains 48 yellow ducks and 2 black ducks, for a total of 50 ducks. There are many different ways to enjoy them, like scooping the frogs up in your hand, or lining the frogs up in the bath water. 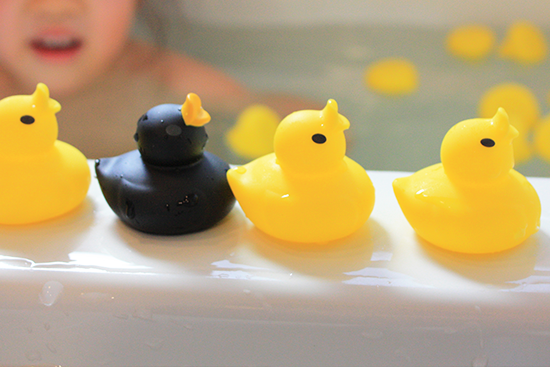 Please try a duck bath at least once. 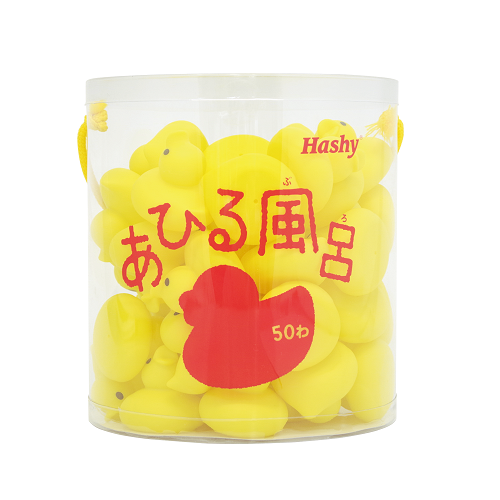 Since there are 50 of them they can also be used as an educational toy for counting. counting the ducks, and doing a little addition and subtraction. Your children are sure to love their charming and cute design. 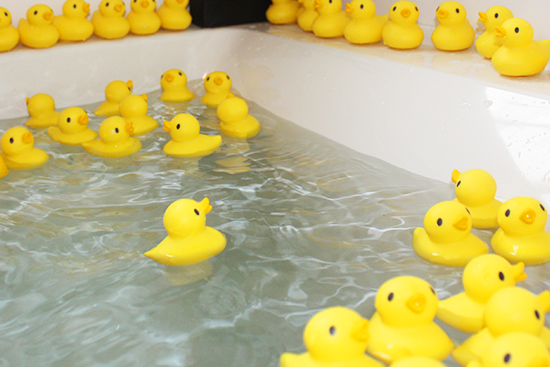 Please enjoy a bath time like you’ve never experienced before, one full of ducks. As well as the duck set we also sell a set of 50 frogs and a set of 50 goldfish. goldfish bath (48 red goldfish and 2 black pop-eyed goldfish).